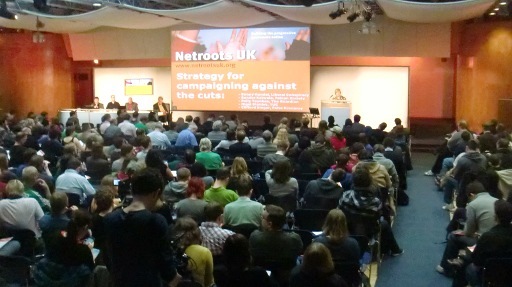 The Netroots UK conference, held on Saturday 8 January 2011, was an interesting day, consisting of plenary and workshops sessions. The only disappointing element was the final plenary session, which, I think, should have pulled together the various elements of the day and outlined a common way forward. Instead a rather rambling session seemed to fizzle out and merge into the post event social. However, still looking forward to the second Netroots UK. Never heard of this conference, sounds interesting. Shame the netrootsuk.org website fails on some simple math (Parse error: syntax error).